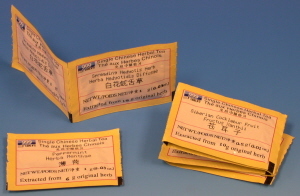 Packets can be taken singly or combined with other herbs to make a formula. Use one packet to four cups water. Drink 1-3 cups per day. Please consult Chinese Herbal Medicine: Materia Medica (Item code #46196) for more information on the uses of individual herbs. We have many other books that give recipes for formulas that you can make with the Sanjiu herbs.